I've never used Microsoft Outlook on this computer. However, I want to view emails in an old PST file. 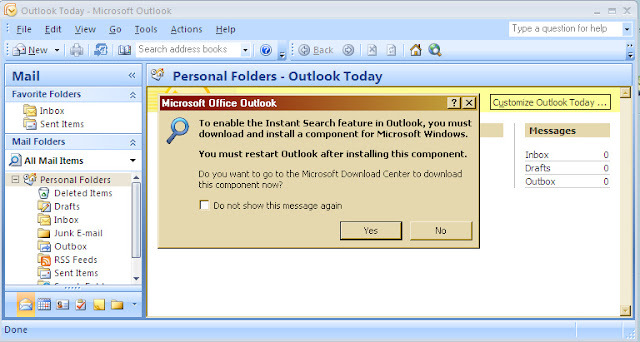 I start up Outlook and configure it without email accounts. During the first-time start process, Outlook tells me I need to install a Windows component to enable the "Instant Search" feature. I click the "Yes" button. Outlook launches a browser and takes me to a Microsoft.com page to download Windows Search 4.0 for Windows XP. I dutifully click the download button. Whoops. 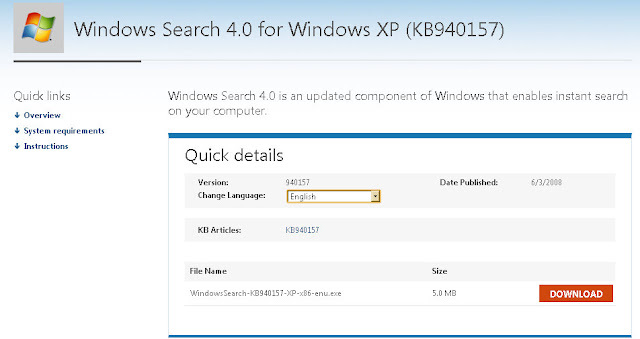 Instead of starting the installer download, I get a page stating "We are sorry, the page you requested cannot be found."